Personal\Fun. There are people who go to psychics for no very specific reason. They may simply be intrigued to see what happens, or regard the whole venture as a bit of fun. Women who work in the same office often organise a group visit to a reader "for a laugh". Personal\Problem. More commonly, people go to see psychics because they are looking for help with regard to a specific issue, worry or problem. This could be anything from advice on romantic or career issues to assistance finding some lost item of great sentimental value. Corporate. Some companies employ psychics to assist with recruitment and promotion decisions, or other aspects of the company's well-being. This is alarmingly misguided, and could lead to all kinds of prejudice and unfairness. 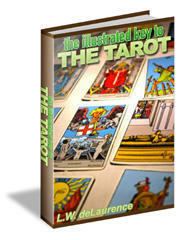 Now that we have defined 'cold reading' and 'psychic readings', we can define the terms used in the rest of this book.